A fun take on the classic slipper is this sparkle covered leather ballet flat. 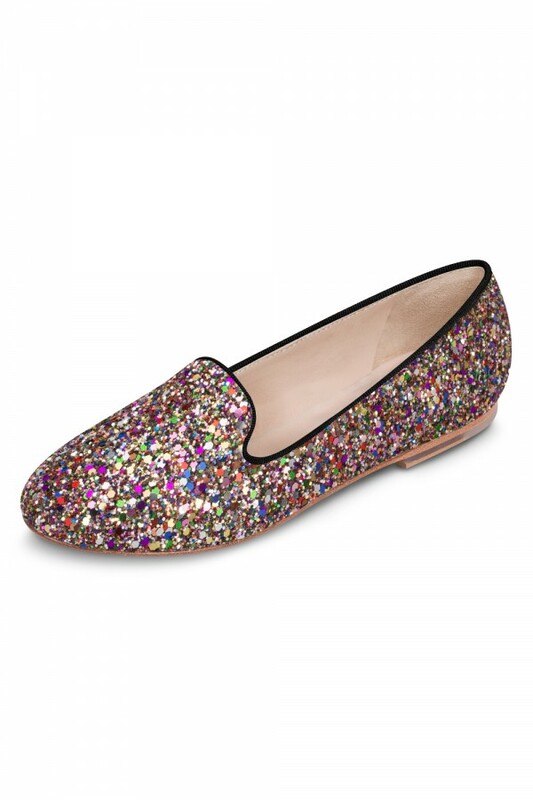 Covered entirely in glitter, a soft grosgrain piping adorns the edges, to ensure that this is a wearable and fun shoe for all occasions. A luxurious leather lining paired with our iconic padded tear drop at the heel offers superior comfort.